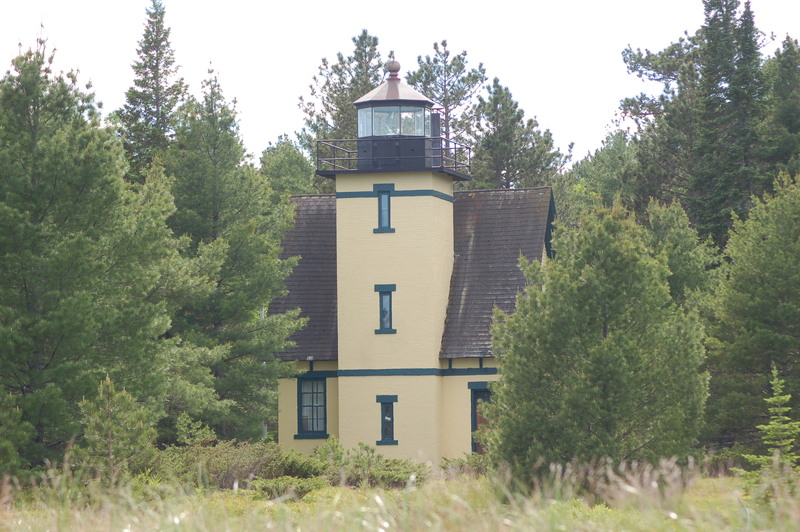 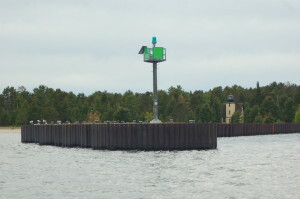 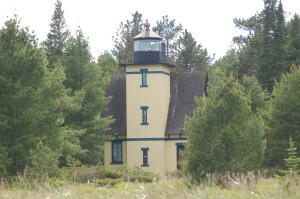 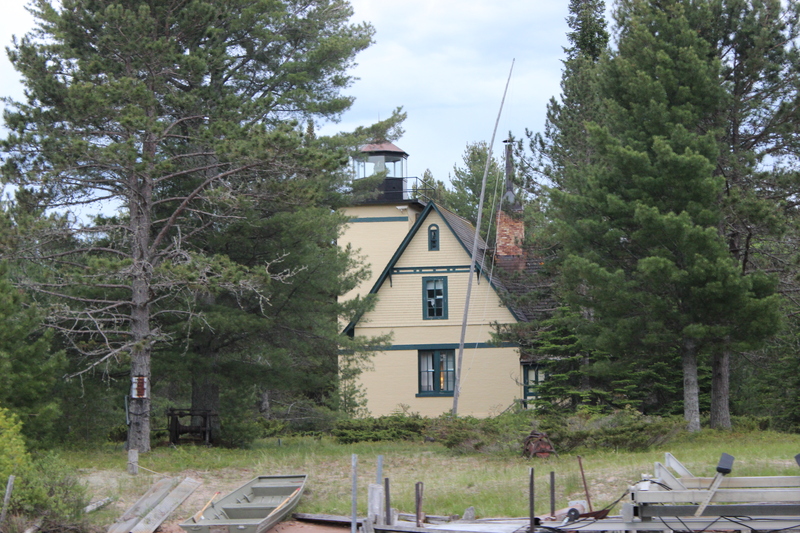 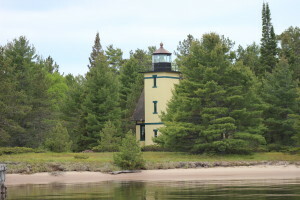 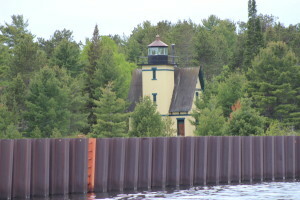 The Mendota Lighthouse was constructed in 1895, replacing an earlier, short-lived structure that was to help mariner navigate the Mendota Ship Canal that connects Lac LaBelle and Lake Superior. 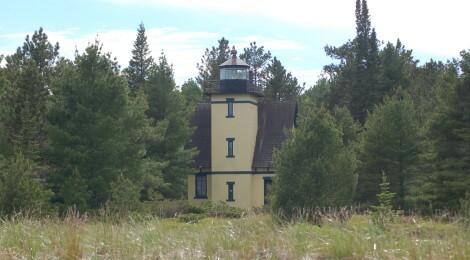 The light is also known as the Bete Grise Lighthouse, and while it is now a private residence it can be viewed from the end of Bete Grise Rd. 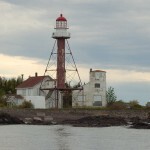 at the ship canal. The first light here only lasted a year before it was decommissioned, and it wasn’t until 1895 that the current structure was built to help boats seeking refuge during a storm. 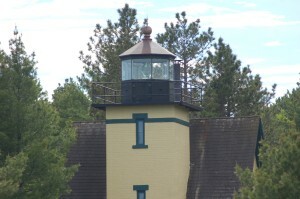 The tower is 42 feet tall and rises above a two-story dwelling that is painted yellow with green trim. 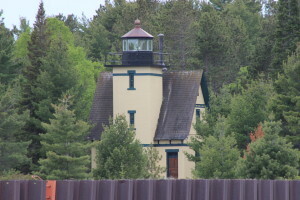 The light was automated in the 1930s and then decommissioned for good in the late 1950s. 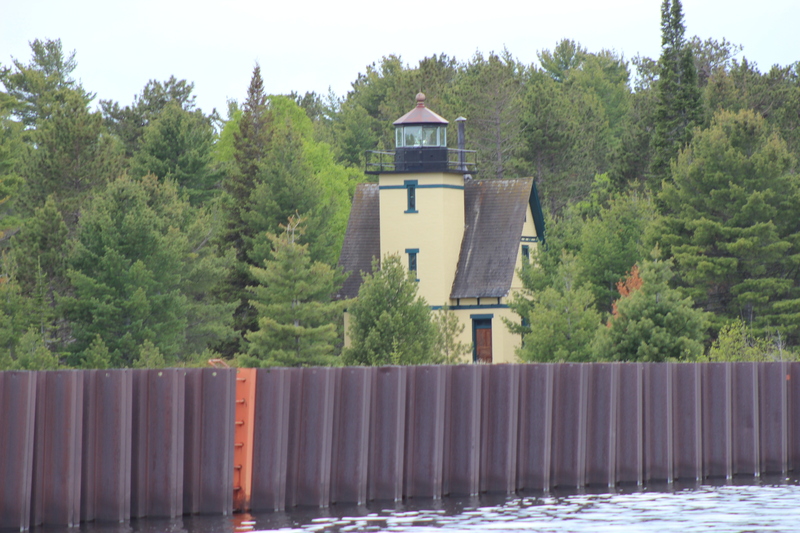 We had the chance to get some up close views of the Mendota Lighthouse last summer when we took a sightseeing and fishing cruise with Sand Point Charters out of Lac LaBelle. 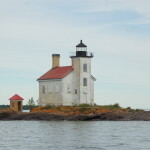 This trip also took us past Gull Rock Lighthouse, Manitou Island Lighthouse, Bare Bluff and Montreal Falls. 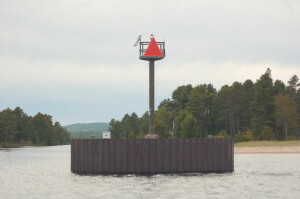 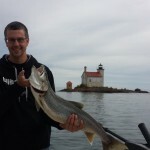 You can check out a full photo gallery in our Lake Superior Trip with Sand Point Charters post. 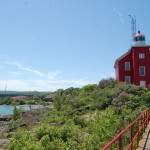 Nearby sites to check out include Haven Falls, the Bete Grise Nature Preserve, Montreal Falls, and the Delaware Mine.